MBARARA – Following the bickering and endless fights that had engulfed the family of self-enthroned “King” of a defunct Kingdom of Ankole Umar Asimwe Lubambansi between him and his father, the duo seem to be taking right directions after a successful mediation meeting that lasted for over four hours at Mbarara police station on Mondayevening.. The mediation meeting was championed by the lawyers from New Mark &Co Advocates led by Honorato Muhanguzi and Francis Harimwomugasho and took place in the police’s board room. The two conflicting sides of Idrisa Kaweesa(Father) and Umar Asimwe Lubambansi NtareVI both had their supporters who had come to witness how events will unfold. The meeting kicked off at 3; 30 pm and Kaweesa was allowed to present his issues to the meeting. It should be noted that since fracas in the night of 31st December 2018 when Asimwe in company with other men stormed the palace few minutes to the New Year at Itaaba in Kyabanyoro in Nyakayojo Mbarara Municipality allegedly beat whoever was in the palace celebrating the New Year before police was called in to contain the situation. While in the fracas, Asimwe’s left eye was injured whereas Kaweesa’s left arm was also severely injured, the former was rushed to Mayanja Memorial hospital and the latter was taken to Mbarara regional referral hospital where he is still receiving treatment. Kaweesa reported an assault case and Asimwe was summoned to record a statement. As if that was not enough, ina span of few days, on 13th January 2019 some of the hurts at Itaaba palace were set ablaze destroying a number of royal regalia ranging from drums, spears and bark clothes. In a meeting on Monday while in a meeting, Kaweesa was asked to present his issue and his preamble he told the meeting that it’s unheard of that a whole Mugabe tortured his father by hiring goons to finish off his life. “I wish you can know the wild behaviours of this son of mine, prior to these all issues, he had started abusing me, he would not listen to whatever I would tell him, he even blatantly told me that am not his father so in few days we were attacked at the palace, you can see how my arm is, am diabetic now what if this would kill me, will he remain a king as he claims, another thing a sent him to be a prince to go and start the process of how we can regain of kingdom, but for him he went and claimed the throne as a king, he could not come back and report to me, he went contrary to what we had agreed upon” Said Kaweesa. He further warned him not again to bring girls and women who are not known in the palace whom he said normally come and sleep with Asimwe. Umar Asimwe while making his submission, he pointed out the fact that what has been causing issues in the family has been the alleged money which they say he got it from president Museveni which he refuted as baseless. On the money from government, the mediators advised that unless the kingdom is recognized by the central government it cannot receive any funding. Later, the mediators asked other members in the meeting to step aside and remained with one section of Asimwe whom he had come within a closed meeting that lasted for 10 minutes. Thereafter they invited the side of Kaweesa and his team who were also engaged in a closed meeting. Later counsel Muhanguzi read what came out of the closed meetings, he mentioned that the two parties agreed to ask for forgiveness and to forgive each other, secondly to withdraw all the police cases of assault, arson and attempted murder and that whoever got injuries should get medication on his bill. 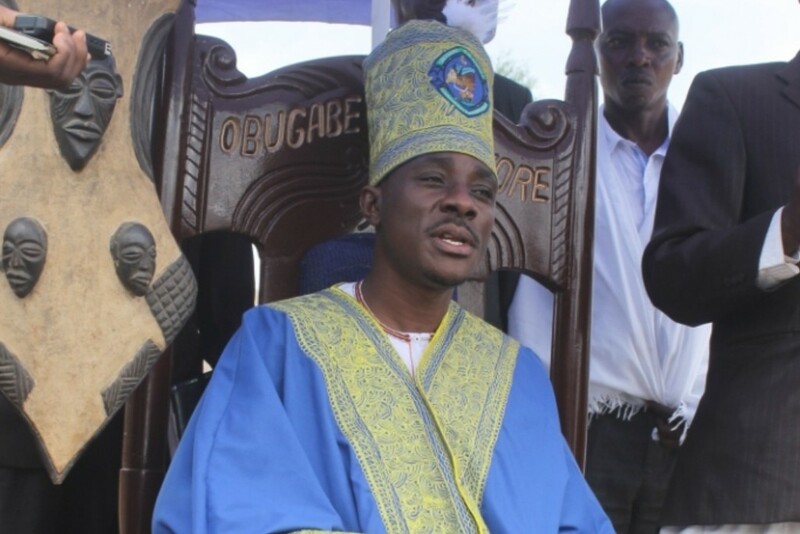 The further agreed that Max Muhumuza who was fired by Asimwe from head of communications in Ankore kingdom now on the side of Kaweesa should step aside from these matters for a while until when the two sides realize that his services were instrumental that’s when they will recall him. Furthermore, they agreed that there should be transparency in whatever they are doing for the betterment of Ankore kingdom. Kaweesa also said that if a child disobeys and asks for forgiveness it’s under the discretion of the parents to do the needful. “We are even going to call a family meeting, he should know he is a son in the family not to try to be the head like he had become otherwise am so happy.